Dawson started the 2013 in Bluefield before getting promoted on July 30 (Photo by Jay Blue, courtesy of bluejaysfromaway.com). Left-hander Shane Dawson is presently in the midst of packing for Spring Training. With less than 24 hours before he hits the road, Dawson is just about set to begin his journey towards his 2014 season. “I’m just about ready to go. I just have a few more loads of laundry to finish,” he said, laughing. With the start of Blue Jays Spring Training merely days away, it’s interesting to think that the Alberta-native never thought he’d be drafted by Canada’s only Major League team. “The Blue Jays hadn’t really shown that much interest in me prior to the draft, but then, they kind of just stole me,” he added. Recognizing the positive growth of the sport, Dawson debated heading back to Lethbridge College for school, but he soon gladly accepted the opportunity of joining the Blue Jays organization. Dawson was in Dunedin within a few days of signing and soon joined the GCL Blue Jays. On the 2012 season, the young prospect went 2-1 with a 2.35 ERA, maintaining a strong 10.3 K/9 ratio. His successful season earned him the promotion to the Bluefield Blue Jays to start the 2013 season, and after finding success in his first seven games in Virginia, he was promoted to the Vancouver Canadians on July 30th. 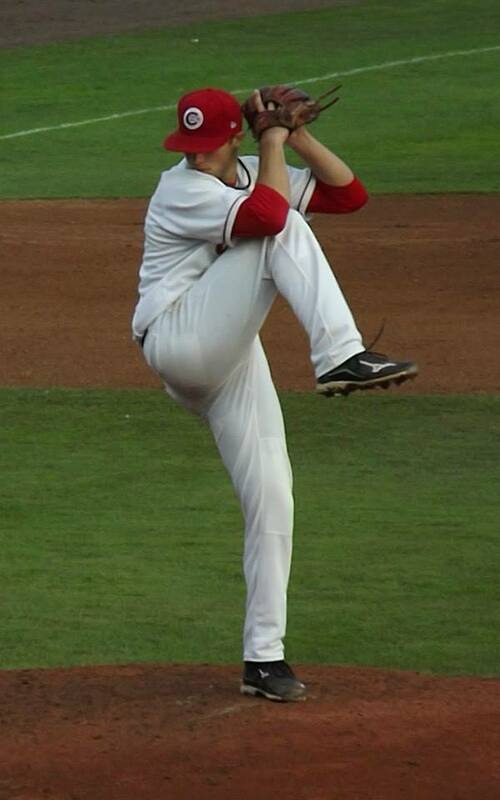 Shane Dawson found success with the Vancouver Canadians and Bluefield BlueJays in 2013 (Shane Dawson Sr.). A few weeks into his transition to his new team, however, Dawson experienced an injury that would put him on the disabled list on August 21 and would sideline him for the remainder of the season. “I had a muscle in my back that basically shut off and was causing issues with my shoulder and elbow,” he said. “But thankfully, I’m feeling great now!” he added. Back to 100%, Blue Jays fans will soon be seeing Dawson, displaying his 3/4 arm delivery and high leg kick, back on the mound in no time. When asked to speak about his mechanics, Dawson kept it simple. I can’t wait to see Dawson pitch this spring. The Jays need some young pitching to offset the aging staff they currently have.